Tampa Wrongful Death Attorneys | Lawyers serving Tampa & the surrounding Tampa Bay Florida area. Our wrongful death attorneys handle wrongful death cases from car accidents, auto accidents, truck accidents, pedestrian accidents & motorcycle accidents arising from the negligence of another driver. Daniel J. Fernandez and Martin J. Hernandez are consistently rated among the top auto accident and personal injury lawyers by our peers, major independent legal authorities, and others in the community. We are known to “go to the mats” for our clients. That carries extraordinary weight and respect with insurance companies and other lawyers. Both Daniel J. Fernandez and Martin J. Hernandez have more than 500 trials between them. The law firm was nominated as one of the best small businesses to work for in Hillsborough County by the Tampa Chamber of Commerce. Clearly, we strive to be the best lawyers and get the best results possible for our clients. WRONGFUL DEATH – We can provide personal support and effective representation, and help you obtain justice for a loved one’s wrongful death. We can also request the insurance companies to pay for the funeral expenses immediately. PERSONAL INJURY – As trial lawyers, our job is simple. We represent people injured due to the negligence or actions of others and aggressively seek justice for the victims, ensuring they receive the compensation that they deserve. CRIMINAL DEFENSE – If you are accused of a crime, you need a lawyer with the experience, knowledge and proven ability to defend and protect you. Your liberty depends on it. Call now. Initial consultation is free. If a member of your family has died in a fatal car accident, at the hand of a drunk driver, truck accident, motorcycle accident, bicycle accident, or pedestrian accidents, we understand your family may be facing difficult and tragic circumstances along with financial strain from the loss of a loved one. We can provide personal support and effective representation, and help you obtain justice for a loved one’s wrongful death. We can also request the insurance companies to pay for the funeral expenses immediately. Compensation for a wrongful death claim can include recovery for final medical expenses, funeral expenses, future lost wages and loss of a loved one’s companionship. 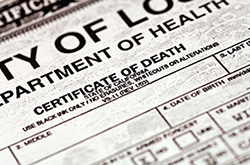 Although it may be difficult to think about, it is important to contact a wrongful death attorney as soon as possible. Statutory time limits apply in all Florida wrongful death matters, which limit the amount of time you have to file a claim. Insurance companies know this and either sit on their hands doing nothing or show up unwanted. It is also important to speak to an attorney soon to preserve evidence. If we represent you in your case, we will investigate all circumstances surrounding the accident and your loved one’s death immediately, which includes gathering and preserving evidence and interviewing witnesses. 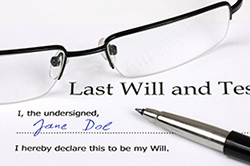 All cases, especially wrongful death cases, are different and require special touches. If you are a surviving family member of a loved one who has died due to the negligence, recklessness, or intentional misconduct of another, we recommend that you consult with an experienced accident attorney to determine if you have a wrongful death claim. We further recommend not to delay and give the at-fault party or his or her insurance company the time to get their affairs in order. Though this is an uncomfortable proposition for grieving family members to consider, there are many reasons that a wrongful death claim is sometimes the right thing to do and sooner is better than later. In the aftermath of your loved one’s death, you will experience many types of losses, and if the losses are due to wrong actions by another party, then it’s only fair that the other party should have to pay. Bear in mind that medical bills may need to be paid, Estates need to be created, and children and other survivors need to be taken care of as your loved one is no longer with us. The law firm of Fernandez & Hernandez, LLC, represents survivors, beneficiaries and their families wrongfully killed by negligent motorists. If your loved failed to survive an auto accident, we encourage you to contact an experienced Tampa accident lawyer at Fernandez & Hernandez. Partners Martin Hernandez and Daniel Fernandez assist the beneficiaries, dependents, and families of those who died due to the negligence of others. Bear in mind, it is important not to talk with any insurance company until you speak with an experienced personal injury attorney who has your best interest at hand. The Fernandez & Hernandez Firm’s lawyers handle wrongful death cases throughout the entire Tampa, South Tampa & West Tampa area. Areas we service include Town & Country, Brandon, Riverview, West Tampa, West Chase, Hyde Park, Culbreath, West Shore, Palma Ceia, Gulfview, 33635, 33615, 33634, 33626, 33625, 33508, 33509, 33510, 33511,33568, 33569, 33578, 33579 & all of Hillsborough County and the state of Florida.